There are many students heading into the fall semester at colleges and universities across the country who remain uncertain about their career path. Planning for the future can be overwhelming, but take it from me: entering a profession that you love is a truly rewarding experience. 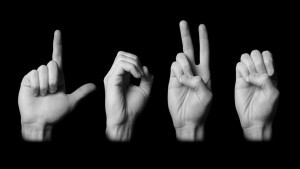 If you have ever thought about pursuing a job as a sign language interpreter, here are seven factors to consider. 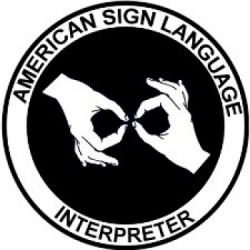 ASL interpreting is a growing profession with plenty of room for dedicated providers. Interpreters are increasingly being used in a variety of settings such as schools, medical offices, business meetings, social events, theaters, and call centers. Information from the Bureau of Labor Statistics projects that the demand for “Interpreters/ Translators” is expected to rise 46% from 2012 to 2022. The need for qualified ASL interpreters will continue to rise as people who are deaf keep breaking through barriers to participate in areas of life where they were previously excluded. Motivated sign language interpreters love the way language can be used to form meaningful connections. Strong linguistic skills are necessary for facilitating nuanced (and sometimes critical) conversations between deaf and hearing parties. 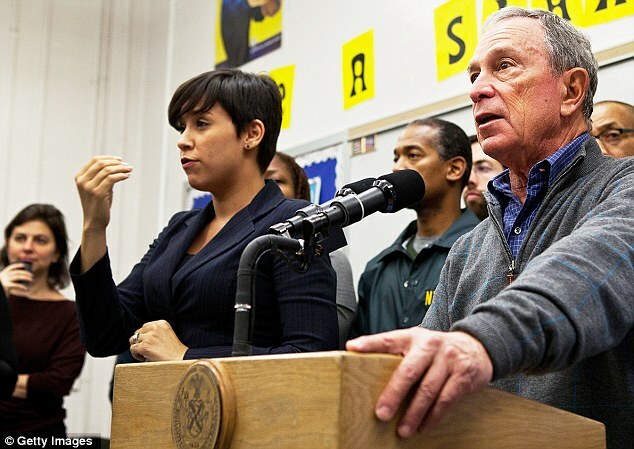 Sign language interpreters need to take the time to understand each side, their motives, and their communication style so that they can ensure the messages are being faithfully conveyed. People who wish to be ASL interpreters are those who enjoy meeting people from all walks of life and hearing about their experiences. Deaf culture is made up of individuals who take great pride in their rich heritage and visual language. Those pursuing careers in the interpreting field will, of course, need to work toward conversational fluency in American Sign Language. They must also learn Deaf history, follow contemporary issues, and try to understand the everyday experience of deafness. This means active involvement in both the Deaf and interpreting communities! Interpreters cannot just sit on the sidelines, because the quality of our work lies in our passion for the communities we serve. Not everyone is fluent in ASL when they decide to become an interpreter, and that’s ok. For those individuals, the first step to becoming an interpreter is working on sign language skills in a formal environment— a workshop, classroom, or private lessons. If possible, look for instructors who are native sign language users (those who are Deaf or CODAs) to help develop your full understanding of ASL grammar, vocabulary, structure and Deaf culture. Once you gain confidence in your level of fluency, become engaged with the local deaf community. Practicing with native signers will hone your conversational skills. All deaf individuals deserve an ethical interpreter with the skills to get the job done right. Over the past 25 years, ASL interpreters have worked hard to create a high standard of quality within our field. This begins at the very foundation: education. As of 2012, a bachelors degree is required for interpreters to become certified by Registry of Interpreters for the Deaf (RID), although the degree does not have to be in interpretation. If you are ready to pursue ASL interpreting as a career, it’s time to enroll in an Interpreter Training Program (ITP). You can enter an ITP with an associates degree or during a bachelors program. In these structured programs, students gain the knowledge and skills they need to become a top quality ASL interpreter. While an ITP might not be mandatory, those who do not complete a training program tend to lack a body of knowledge when it comes to being a well-rounded provider. A combination of classroom and supervised field experience prepares future interpreters bridge the Deaf-hearing communication gap in an ethical and reliable way. Every state has a different system as far as licensure and certification requirements, so be sure to check with your state commission for the Deaf and Hard of Hearing. After your ITP has been completed, the next step is the National Interpreter Certification (NIC). The NIC is a two part examination given by the National Association of the Deaf (NAD) and RID. The NIC exam includes a computer-based component which tests your knowledge of Deaf culture and the field, and a performance exam. This NIC measures your competency as an interpreter and helps clients and consumers to feel confident in your skill set. In this field, education does not end with a degree! The best ASL interpreters are those who actively engage in mentorship programs, as well as professional development workshops, conferences and seminars. Interpreters must keep challenging themselves to provide better services and become stronger advocates. We need to pay close attention to the issues facing both the Deaf community and the interpreting community, discuss these topics collectively, and then work to resolve these issues in our own practice. If you are looking for a job that starts at 9am and ends at 5pm, you may want to consider another line of work. ASL interpreting is a career choice that requires dedication and humility. It is inspiring to enter a field of motivated professionals who are genuinely passionate about the work that they do. Engaging with Deaf consumers and hearing clients on a daily basis opens your mind to new perspectives and provides constant opportunity for personal growth. If you are looking for a rewarding career where each day is different and you get the opportunity to help others, ASL interpreting might be right for you!